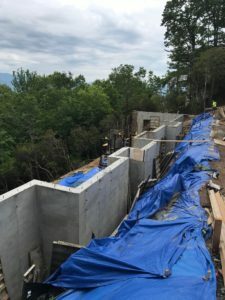 Dean Construction Inc. | Dean & Associates, Inc.
We are a Design-Build Contractor with unparalleled general contracting services. 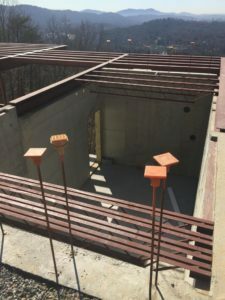 Recognizing our clients’ need for a full service design-build contractor, Dean & Associates, Inc. created its sister company, Dean Construction, Inc. in 2000. 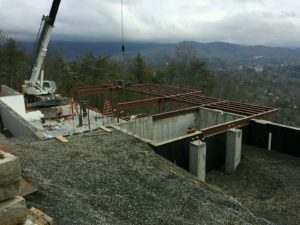 We are a licensed North Carolina general contractor that presents the engineering side of our business with the ability to contract tradesmen from our vast network of experienced industry professionals. 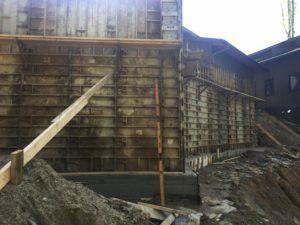 Because of the capabilities offered by the Dean Group Alliance the building process is made less cumbersome by choosing us for your next commercial or residential project. The design-build approach promotes clear dialogue between client and contractor. Because we’re with you from project start to project completion, there’s little to be lost in translation with a design-build contractor. 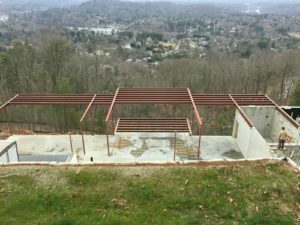 Please contact Dean & Associates at 828-890-4606 to learn more about our design-build contractor. 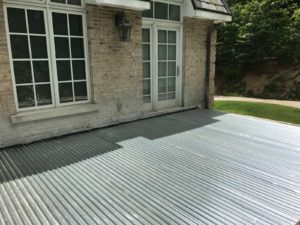 Here are some photos of projects we have completed. 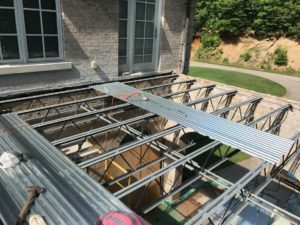 Dean Construction installing an elevated floor system in Asheville, NC. 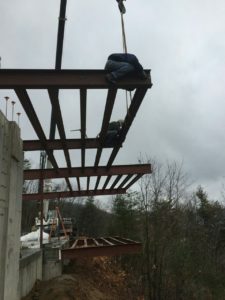 Dean Construction setting steel beams in Asheville, NC. 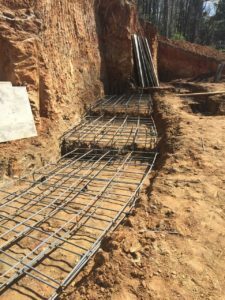 Footings / Dean Construction Inc.
Elevated Patio System, Henderson County, NC. All work done by Dean Construction Inc. Retaining wall / Dean Construction Inc.